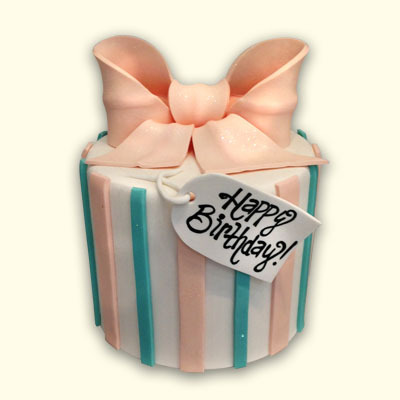 Celebrate a special birthday, baby shower, or event with this blush pink stripped cake. Custom colors and decorations are available to match your event. Personalize the tag as well with a special message. Select any of our 21 enchanting cake flavors and fillings. Serves 6-8 guests.